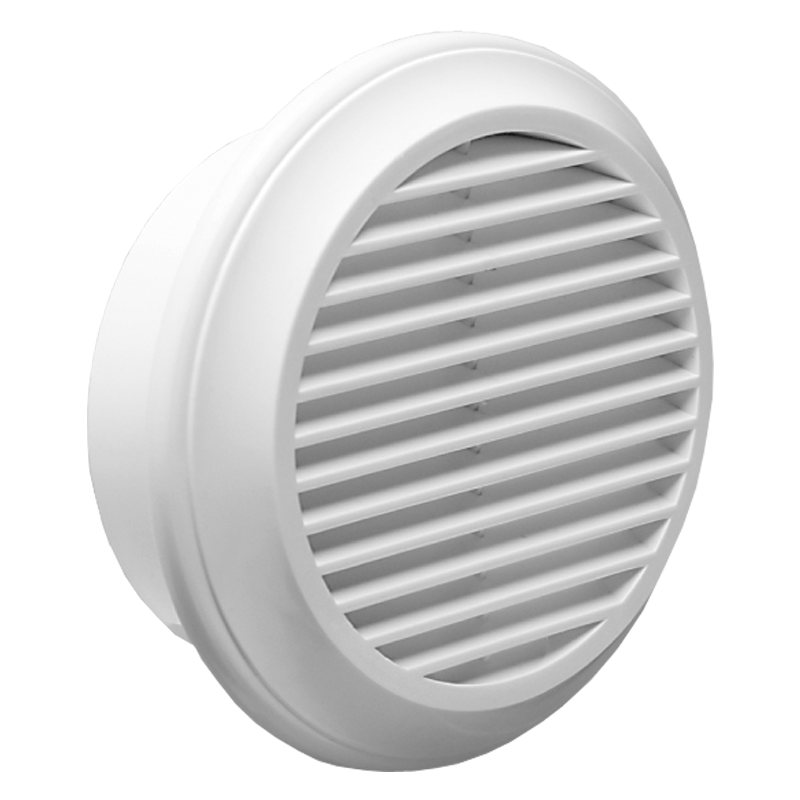 Supply or exhaust ventilation systems of residential spaces. For installation in ceiling connector. Made of antistatic ABS plastic or polystyrene. Fixation with screws.Equipped with an insect screen.